Many travelers use Alice Springs as a base to explore the surrounding area. 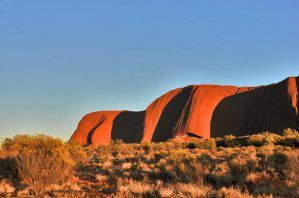 Nearby you'll find beautiful desert landscapes, Aboriginal communities, and the famous Uluru (Ayers Rock). The town has grown significantly in recent years to accommodate the growing number of tourists who visit the area. If you're traveling alone, you'll find a handful of hostels and hotels that offer unique atmospheres and travel information that will help ensure you have a smooth trip. How much do hostels in Alice Springs cost? If you're traveling alone, Alice Lodge Backpackers Hostel is one of the most popular in the area. The hostel isn't large, but it's relaxing and comfortable. It's about a five minute walk from Alice Springs Town Center and it is the perfect setting to relax before or after a tour of Uluru. The hostel has co-ed dorms, female only dorms, doubles, and twin rooms. All of the dorms are air conditioned and include a small refrigerator, comfortable beds, security lockers, and bed linens. The hostel has all kinds of amenities for guests. There's a swimming pool, a television lounge, and a full kitchen for guests. There are also laundry facilities and several places to relax including a sun deck and hammocks. Free breakfast is available. The hostel has a relaxed and mellow atmosphere and it is easy to meet other guests. The staff is friendly and can help you with all kinds of travel information. They also offers good prices for three day camping tours of Uluru. If you're looking for a quiet setting where you can relax and enjoy your peaceful surroundings, then Alice's Secret Travellers Inn is a great option. It's the smallest hostel in the area, but it's clean and welcoming. It has a very personalized vibe and it will quickly become your home away from home. It's about a ten minute walk from the middle of town. The hostel has all of the standard amenities including a full kitchen, a small lounge area with a television and DVD player, and a large backyard that has a barbecue and a swimming pool. The backyard is the perfect place for bird watching. Rooms are air conditioned during the summer months, and non air conditioned rooms are available for a reduced rate. There's also heating during the winter months. The hostel has travel information and booking arrangements as well. Discounts for guests are available. Haven Backpackers Resort is a comfortable place to stay that is popular with all types of travelers. It's a three star facility that is reasonably priced for the budget conscience. The hostel is a short walk from the center of town and it offers guests a variety of fun amenities. There's an outdoor swimming pool, a barbecue area, a television area, and plenty of outdoor seating. Many guests enjoy relaxing around the pool or cooling off with a dip in the pool. It's not hard for independent travelers to find someone to hang out with. The hostel also has shared kitchen facilities where you can prepare your own meals. The hostel is near most of the activities around town including restaurants, cafes, and shopping. There's also a shuttle service available to the airport and bus or train stations. 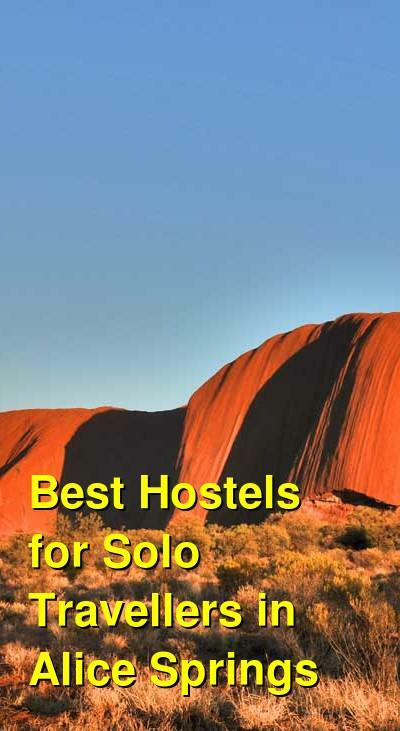 The hostel can help organize all kinds of activities including camel rides, hot air balloon rides, hiking trips, and, of course, trips to Uluru. If you're traveling alone, then this is a comfortable place to stay where you're likely to meet other guests. It's a nice setting with a social atmosphere.